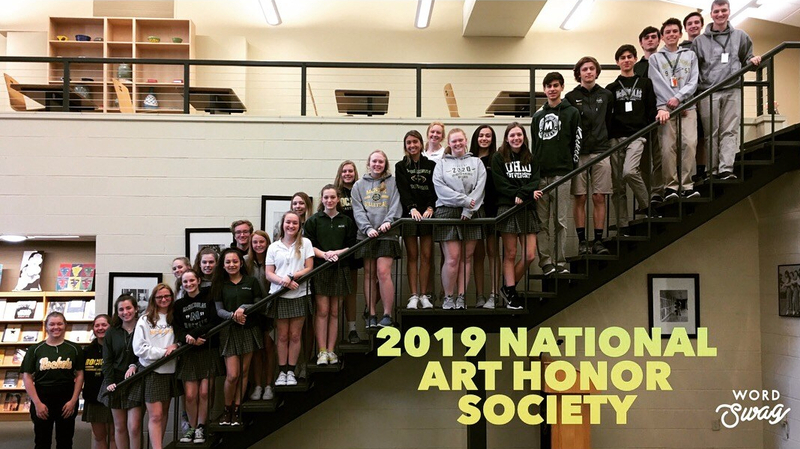 With the 2019-2020 academic year, McNicholas High School plans to offer College Credit Plus courses, and add two new Advanced Placement classes in the English and science departments. Curriculum changes will be made in order to allow for an AP Chemistry class and a second AP English class, AP Language and Composition. Advanced Placement classes are college-level courses designed to allow high school students to follow a curriculum dictated by the College Board, with the hope that they can earn college credit on the end-of-year exam. Currently, McNick offers thirteen AP courses, and next year that number will increase to fifteen. “I have been exploring the addition of the AP Language and Composition course for a few years,” said English Department Chair Angie Noble. “It wasn’t until I went to a one-day workshop in October that I definitely decided [AP Lang] is something that is needed at McNicholas.” AP Language is more of a writing-based English course in contrast with AP Literature, which is more reading based. Both AP Lit and AP Lang focus on critical reading and analytical writing, but Noble said that AP Lang “is more nonfiction, mostly historical texts, and the writing is more broad.” AP English courses are designed for students who have taken at least two years of honors level English. In addition to AP Language and Composition, AP Chemistry will also be offered. “Even if they don’t earn credit for AP Chem, just having been exposed to the level of rigor in a college Chem class would be helpful,” said Science Department Chair Regina Goines. “A lot of colleges use first year Chem as kind of a weed out course… and if kids are a little more familiar with it, I think it helps them.” Science AP courses require that students have excelled in Math, Biology, and Chemistry, and it is not advised that students take two AP Science courses concurrently. College Credit Plus courses also offer students the opportunity to achieve college credit, however instead of taking a test to try to qualify for credit, students receive credit by partaking in the course itself. “…Essentially [CCP] is called dual enrollment,” said counselor Matt Wehrman. “You could take a course either online, on the campus of the University of Cincinnati, or at UC Clermont, and get high school and college credit for it.” Colleges often request that students looking to apply for CCP courses have taken the ACT, and if the ACT is unavailable, then they will look at GPA or letters of recommendation. If students prefer not to partake in dual enrollment, then they could opt for an Advanced Placement course instead. McNicholas is working toward making CCP courses more accessible to the student body, while providing students with a broader range of AP courses. Information on choosing AP classes can be found here. Junior Marie Steinkuhl takes a vocabulary quiz in Mr. Randy Royal’s A bell AP Government class. Students had completed a lesson on the functions of the President of the United States.